Support actions and initiatives vital to maintaining the integrity of our mission. We are concerned for those among you who are presently without employment or are presently confronted with pressing financial challenges. May our gracious God bless you abundantly for your great generosity towards the Sisters of Holy Cross. 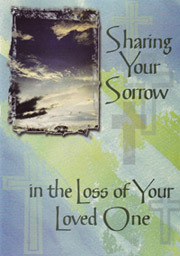 Use Holy Cross Remembrance Prayer Cards. This is a special way to remember family, friends, and loved ones. Those enrolled share in the masses, prayer, and works of the Sisters of Holy Cross. 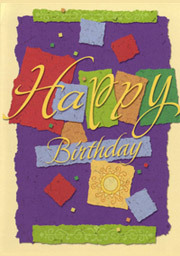 Sympathy, Get Well, and Birthday cards can be obtained through the Development Office. Be a companion on our journey by asking to be placed on our mailing list. We publish a newsletter three times a year that might be of interest to you. The Sisters of Holy Cross are a not-for-profit organization. Any contribution may be deductible. Checks should be written to: Sisters of Holy Cross. 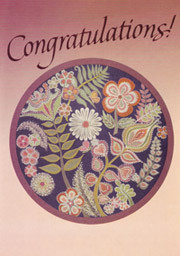 Celebrate a birthday, anniversary or jubilee, send get-well wishes or express your sympathy with a Remembrance Gift to the Sisters of Holy Cross. 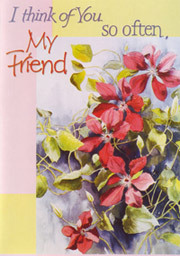 The card you send will express your wishes and guarantee prayers from the Sisters. Pictured below are a few of the cards we have to offer. You may call the development office or write to us and we will mail them to you. 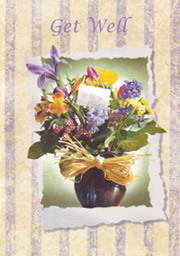 Keep some of our cards on hand and send us a donation only when you use them. Donations can be made with a credit or debit card through PayPal, the fastest and easiest way to send money online. Be assured that your credit card information will be secure.